Following in the footsteps of E.W. 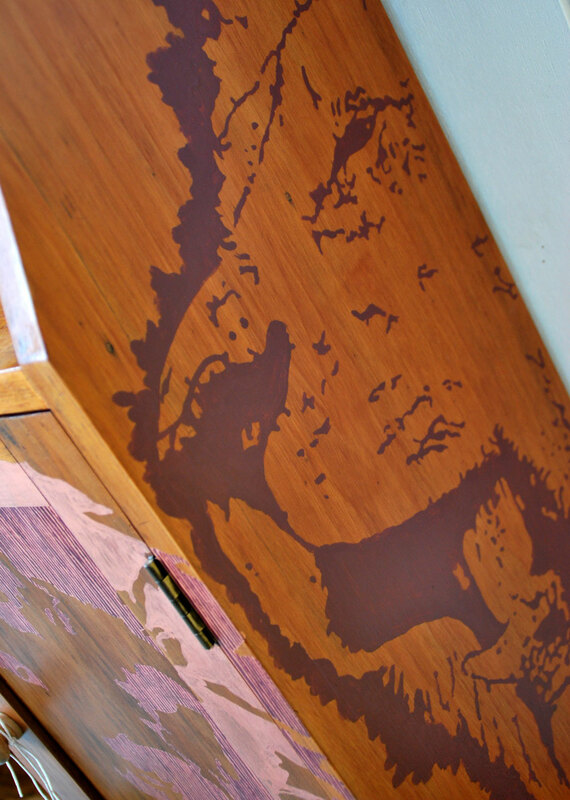 Godwin, the forgotten Patron Saint of Stokes Croft, we launch Stokes Croft Art Furniture. 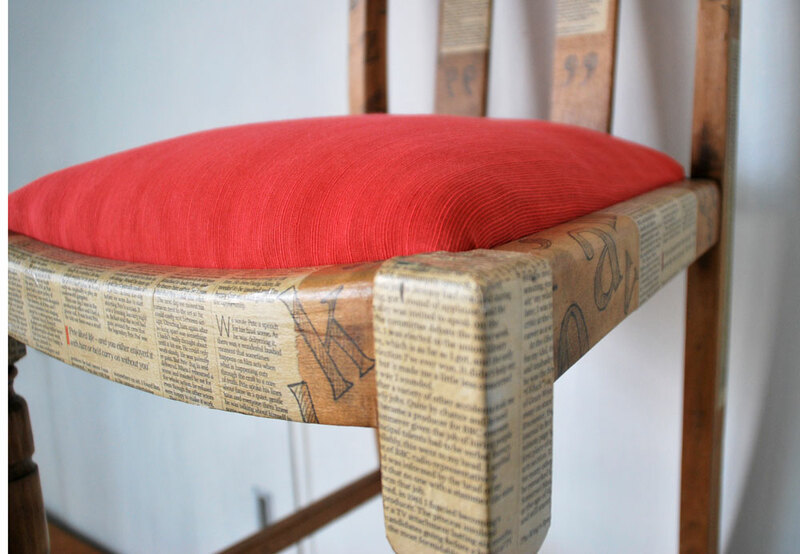 Using materials found in the street, old furniture headed for landfill, we fashion unique pieces of furniture, which transcend the merely functional. 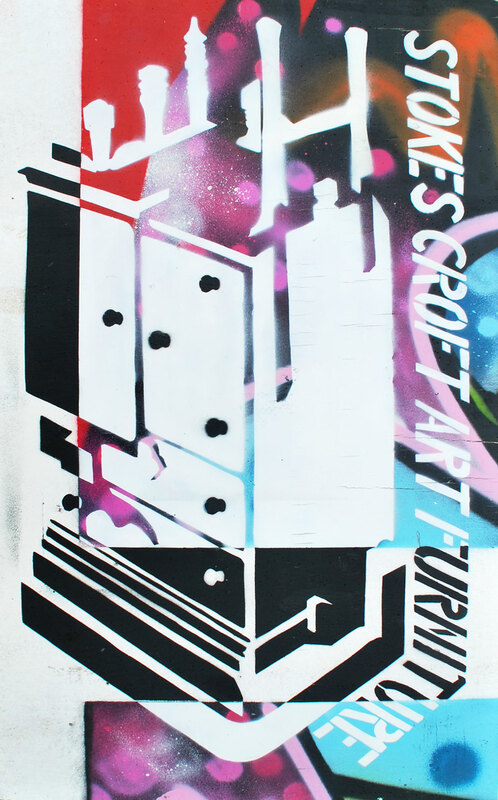 Local artists working with materials found locally create a new aesthetic that clearly evokes the soul of Stokes Croft. 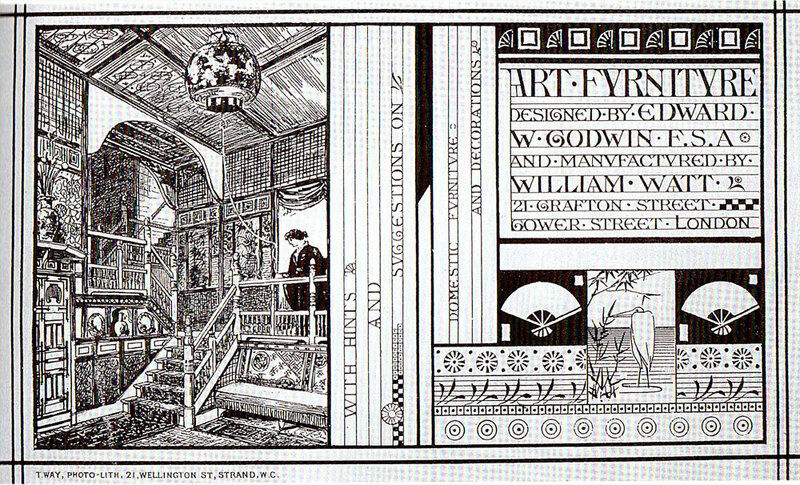 Below: A pamphlet for Godwin’s short-lived Art Furniture business. 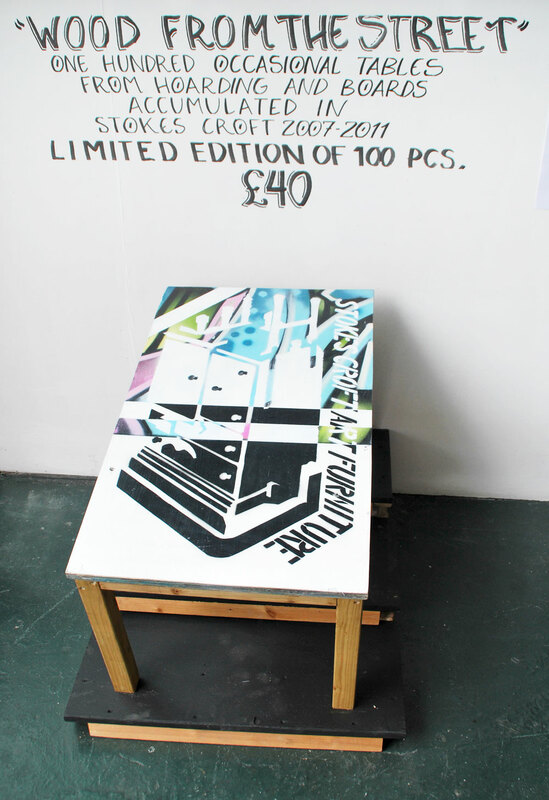 Below: Coffee table (surface) Limited Edition of 100 Price £40. Below: Jamie Gilman at work in the PRSC workshops. 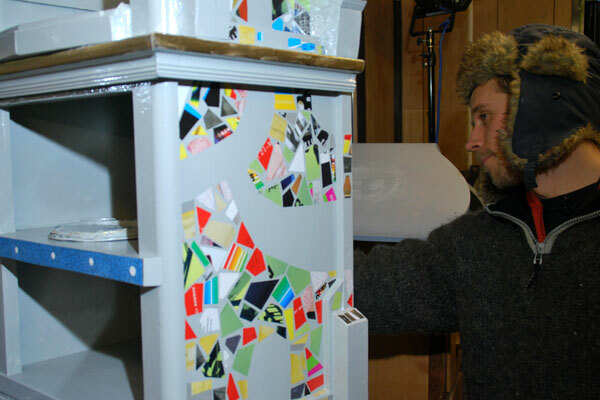 Below:Rich Corlett preparing a small cupboard. 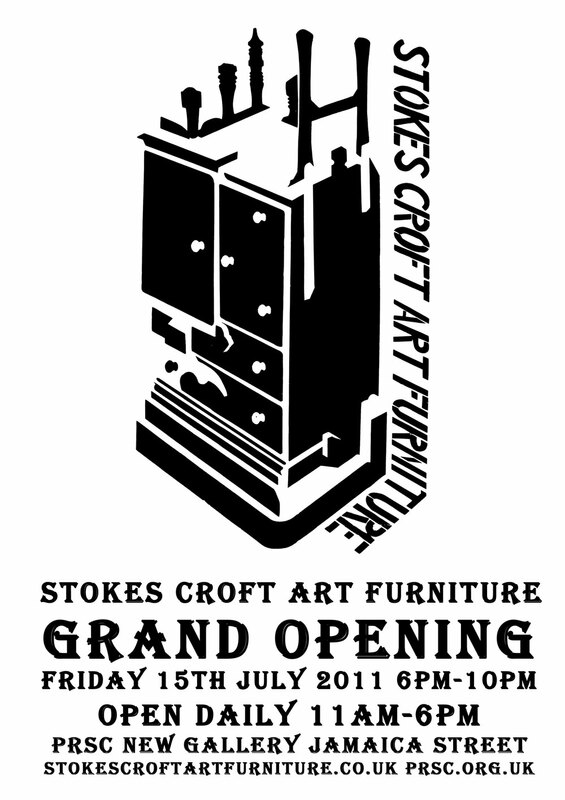 Stokes Croft Arts Furniture launched on Friday, with a good turnout. 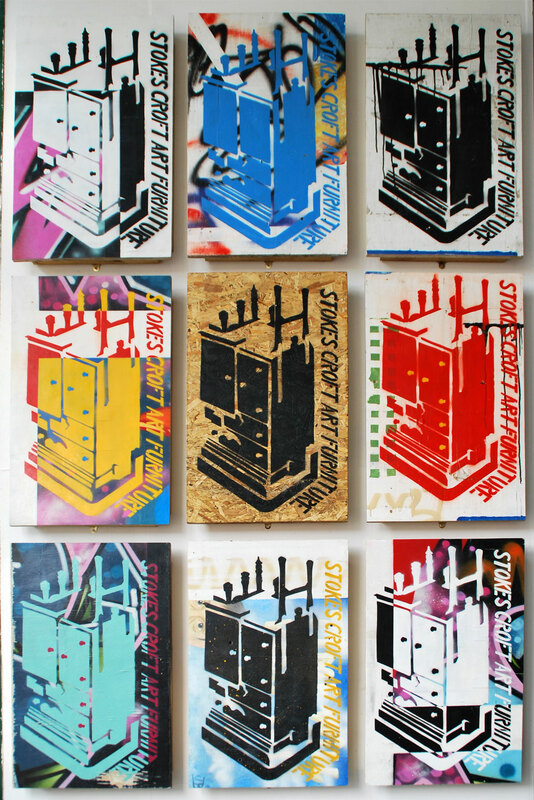 The show is open from Mon-Saturday 11 am-6pm. 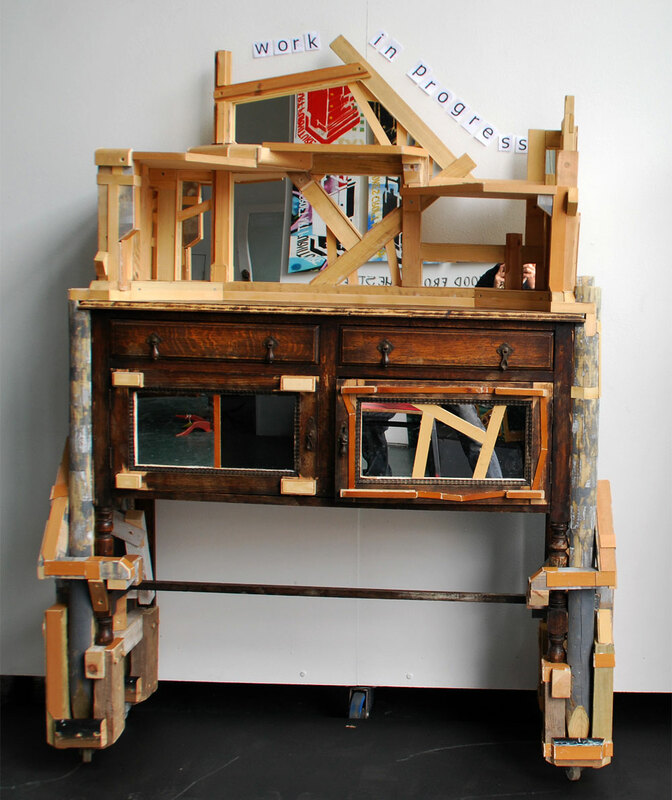 Almost all pieces come from furniture and material found on the streets in and around Stokes Croft. 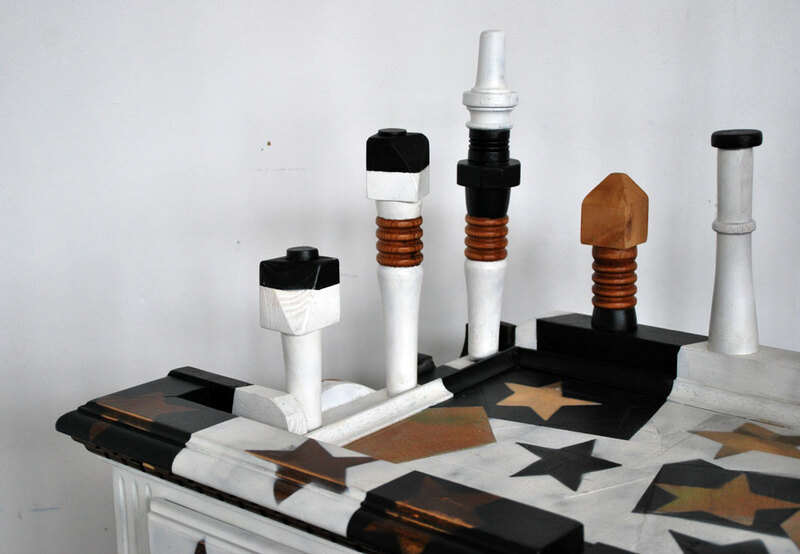 The show will develop and change as more pieces of furniture are produced and pieces are sold. The show will run until late August. 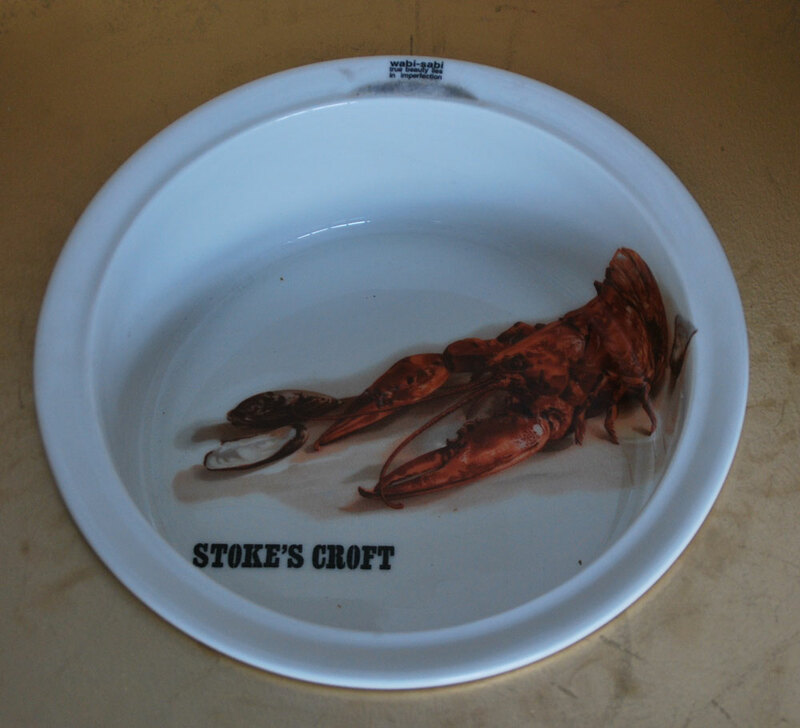 Stokes Croft Art Funiture is an ongoing business which will run to help PRSC to fund its activities, to enable people to develop their skills, and to recycle unwanted furniture by imbuing the pieces with value through revamping them for the 21st Century. 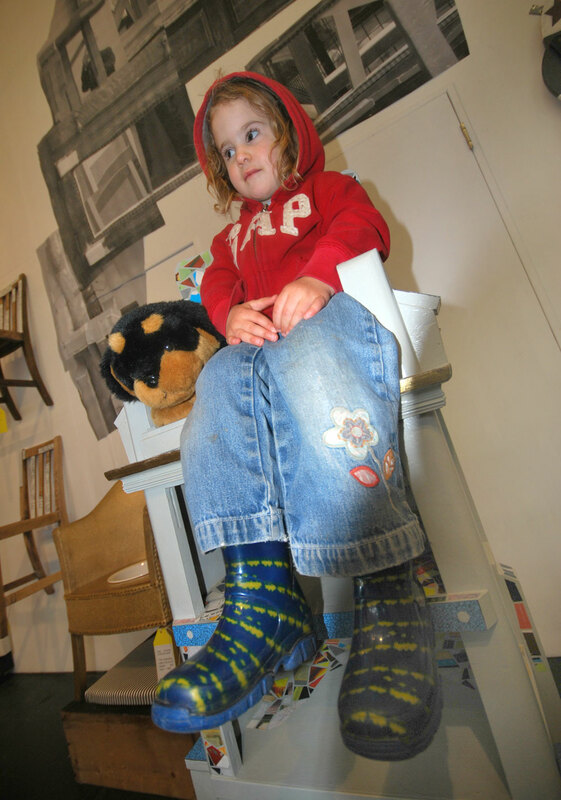 Below: Trying out Jamie Gillman’s High Chair for size. 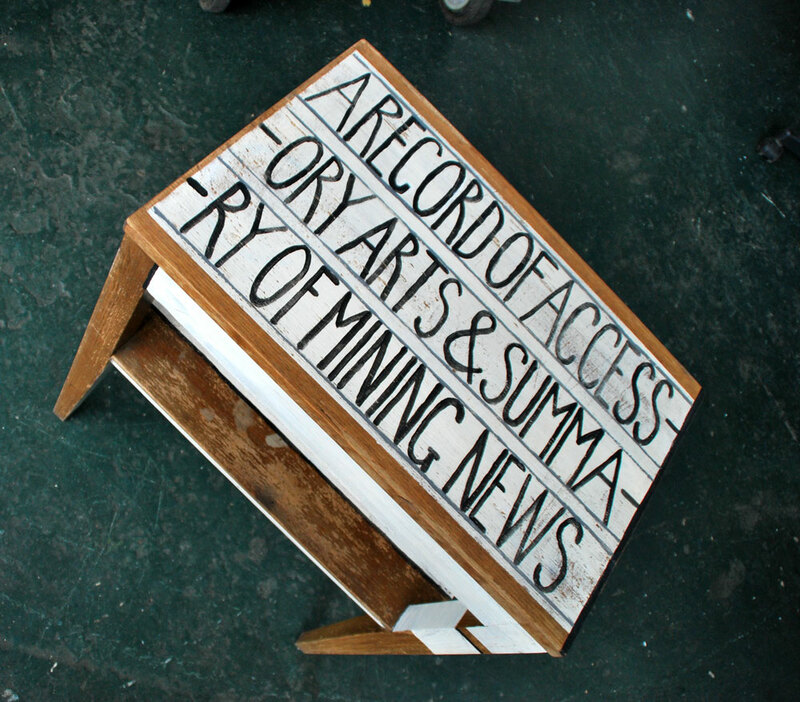 Below: 100 coffee tables made from wood collected from the various hoardings and scrap boards gathered in Stokes Croft 2007-2011. 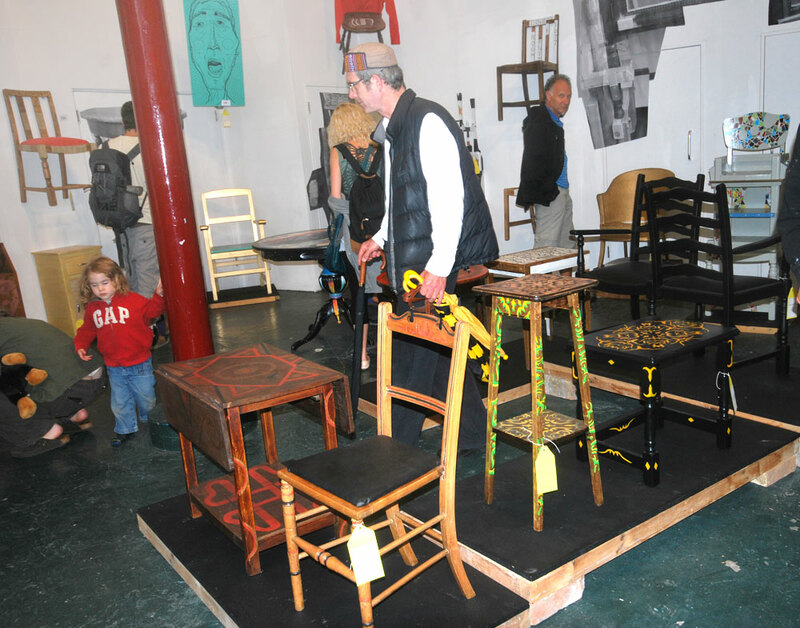 Below: Nine of the first batch of Stokes Croft Arts Furniture Occasional Tables. Below: Jamie Gillman “Work in Progress”. 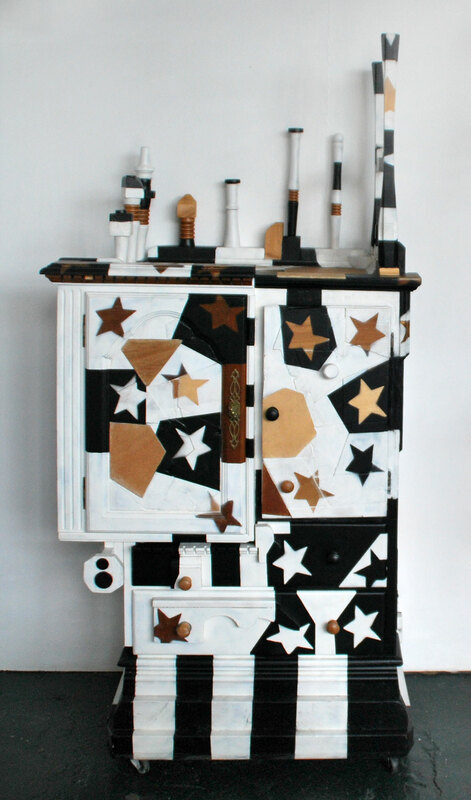 Below: Jamie Gillman cabinet (Detail). 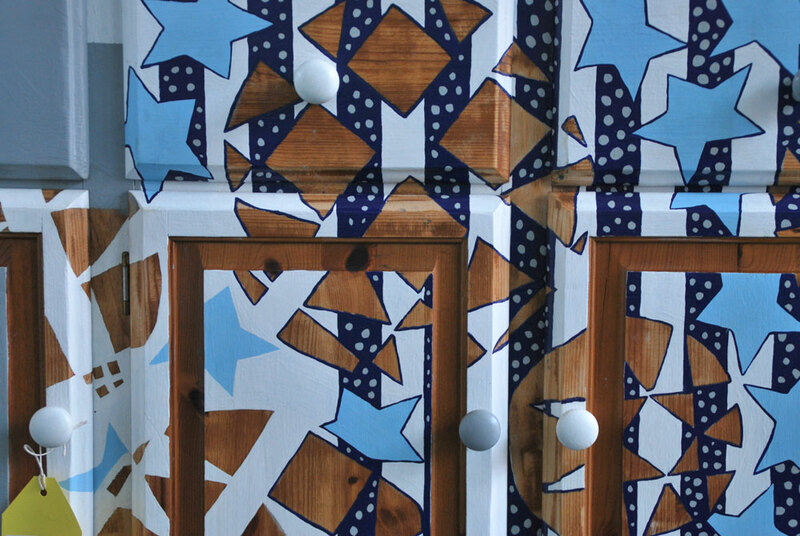 Below: Commode by Rich Corlett (Detail). 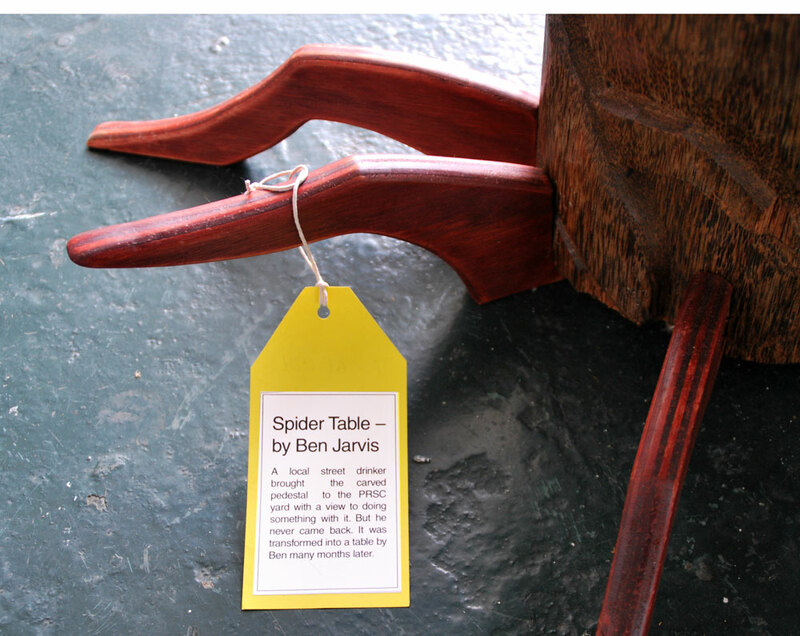 Below: Ben Jarvis spider table (Detail).